We felt extremely blessed that so many members of our family were able to come and be with us around the time of Aaronashe’s birth to celebrate his arrival. We wanted to capture the memories and have a visual reminder of this family celebration! 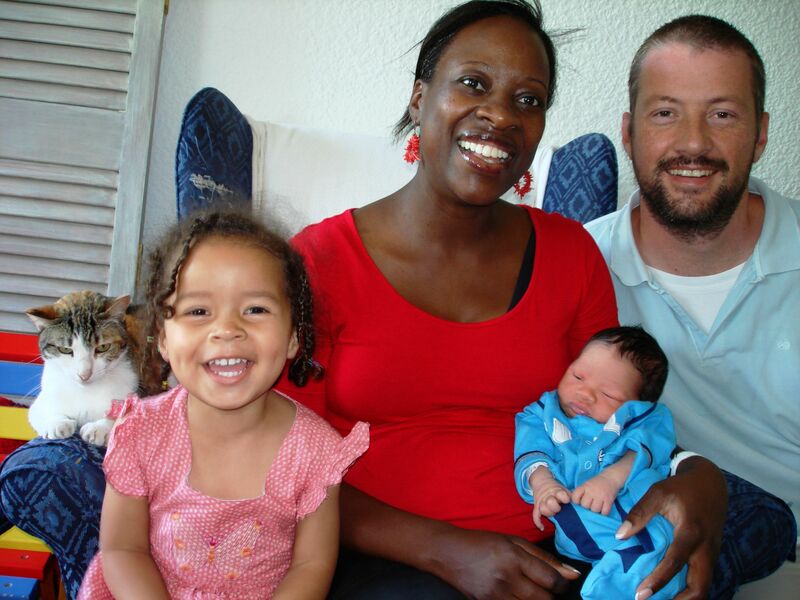 What a glorious day it was when our second child, was born! 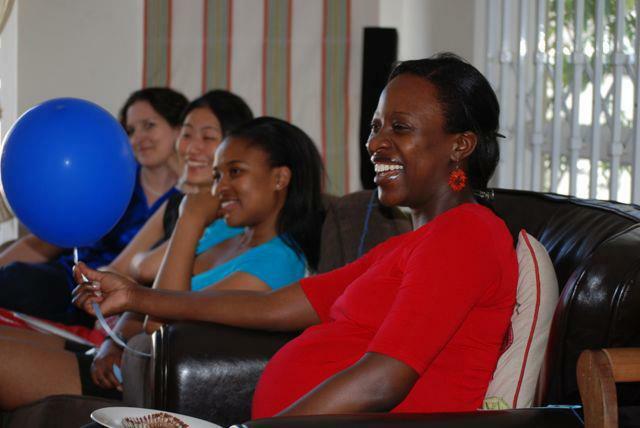 I had a rollercoaster pregnancy, which I’m sure most pregnant mothers can relate to, and to add to the chaos, his expected birth date was anywhere from the 27th of December to the 8th of January. Since it was my second pregnancy, the Braxton Hicks contractions (practice contractions) were much stronger, and as a result I had a few false alarms in the weeks before the actual birth. In some ways it was easier to prepare for this birth since it was the second time around and I knew what to plan for and delegate. I had all the right things for my hospital stay (with Yara we took a whole lot of unnecessary things, e.g a movie- hahaha), I made shopping lists, cooked and froze many meals for us. (A big thanks to Jess for the tip – it was a life saver). But in some ways it was more difficult this time, especially because we have a toddler in tow. We wanted to make sure Yara would adjust well; talking a 2 year old through this big ‘life event’, and all the while just praying that she would love her brother, was no easy task. We also had to organize what would happen with her and who she could stay with during the actual birth, whenever that would be. The real countdown began when I aimed to finish work on the 14th of December, but ended up working until the 21st. All my work was handed over to others for my maternity leave. I had made spreadsheets of tasks that had to be done and put all the necessary documents and files on CDs for each person. Everything was finally in order. I thought, “Woo hoo, I made it and the baby hasn’t come!” What a relief! 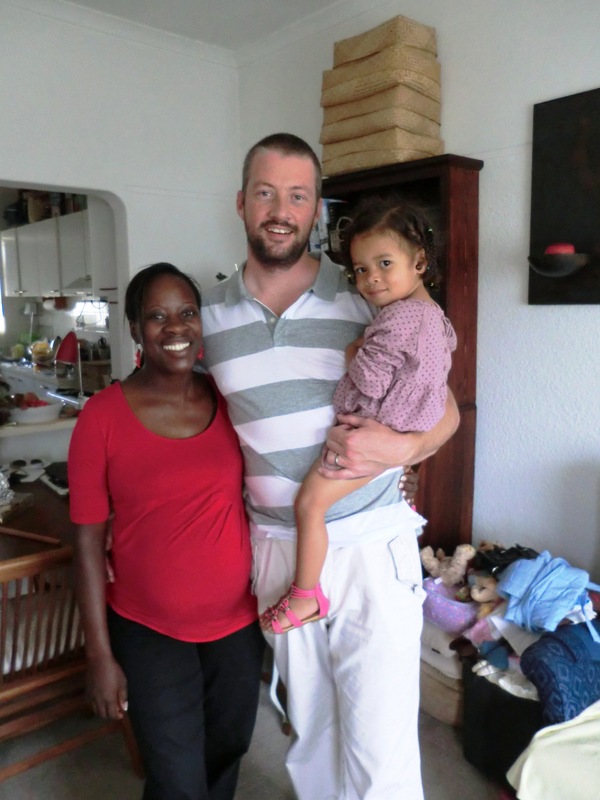 From my side of the family (the Sibandas), my mother arrived in Cape Town from Zimbabwe on the 29th of December, with enough time before the birth to get re-acquainted with Yara and to help us with some last-minute preparations. My brother came on the 2nd of January, which turned out to be just in time for the birth. In my estimation this little guy was taking forever, since my brother would only be visiting until the 5th, and I wanted him to be able to see the baby. My father was scheduled to arrive on the 3rd. We made plans to do something fun as a family every morning until the birth, but we only made one morning, the 3rd! 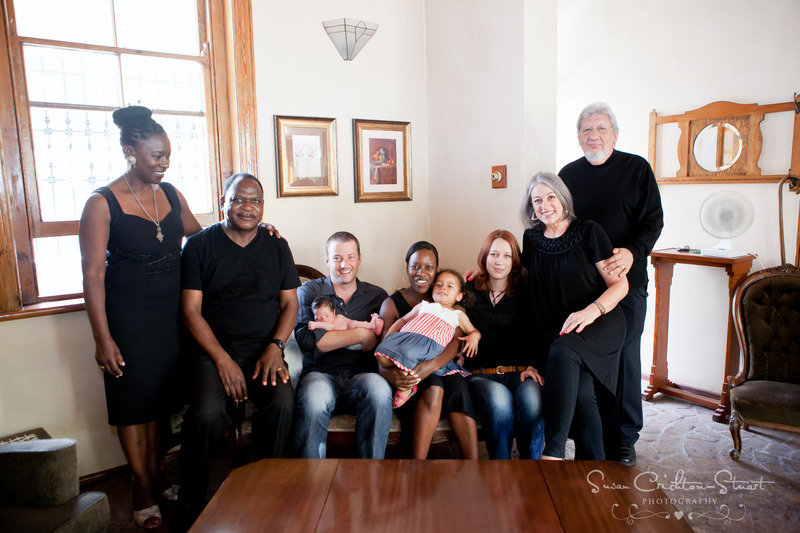 So for our first outing with the Sibanda family, we met at Josephine’s Mill in Newlands for a wonderful, long and loud breakfast. I felt very energetic and as strong as ever! I would never have thought that in less than 7 hours we would all be meeting the new member of our family. We left the Mill with my mum to go to the weekly appointment with our midwife at 1 pm. My mum stayed in the car with Yara while Raldo and I went in. By this time I was so fed up. I was also a little worried that the birth process would begin in the middle of the night; and particularly that I would not make it to the hospital in time, since Yara’s birth went so quickly. 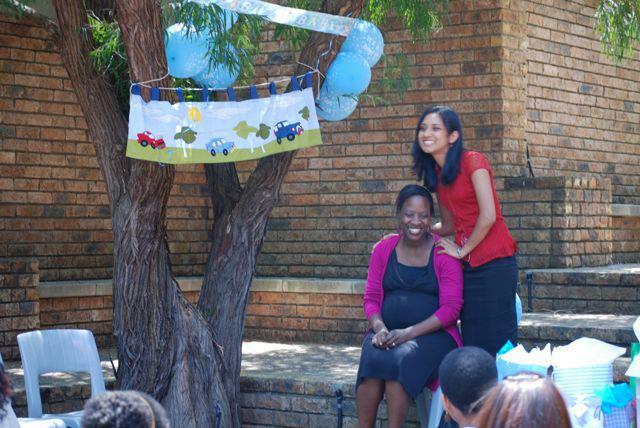 My midwife agreed that if we could in any way avoid the possibility of giving birth in the car, we should! When she had finished examining me, she said my cervix was fully effaced and I was 4cm dilated with no contractions! She asked if she could sweep my membranes, which would bring on labour contractions. Sure enough, I felt them start as we were walking back to the car. We agreed to meet her at the hospital at 4 pm. We went home and I packed up the last of my things in a wonderfully leisurely fashion, much like I did with Yara’s birth. Both of our kids were born on a Thursday after a regular visit to the midwife! With Yara, I didn’t get my membranes swept, as I had already gone into labour and was halfway to the birth when I went for my appointment! I had very special quality time with Yara in the bath, which I took to ease the slight discomfort I had and to relax. I explained to her for the umpteenth time what was going to happen now, and that she was going to stay with her Gogomum (my mum). By now I was having contractions about every 5 minutes, but they were not too painful, since my waters were still intact. We kissed everyone goodbye and headed for the hospital at about 3:40 pm. When we arrived at the hospital, the midwife said that I was already 8 centimetres dilated, and that if I wanted, she could break my waters and the baby would be born within an hour. Of course I opted to wait – who wants more chaos in life? I just needed to pace myself, and of course this time I actually knew how hectic the next phase of labour would be, so I was really in no rush. 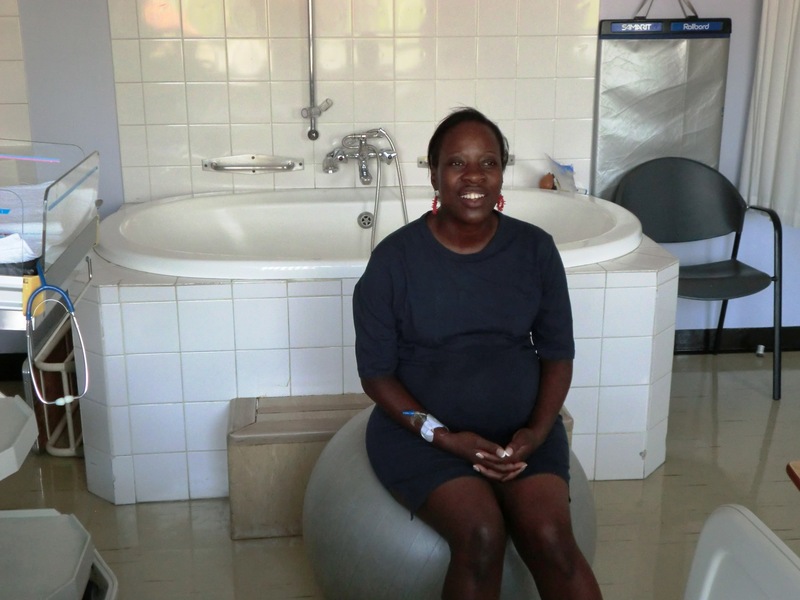 I asked Glynnis, my midwife, if I could labour the toughest part in water this time as I thought it might ease the intensity of the active phase (sitting in the bath before I went to the hospital had been so relaxing!). 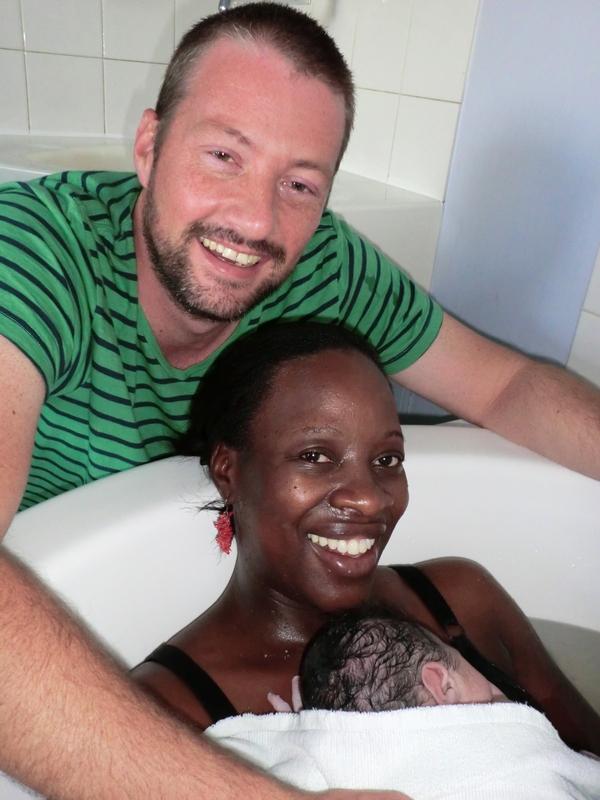 She asked if I would consider a full water birth, because by the time she ran the “huge” hospital bath and had broken my waters, it would not be long before the baby would be out anyway. With all the emotional upheaval of this pregnancy I had not made a birth plan, so this offer did not mess with the non-existent plan. She assured us that it would be safe, and that the key thing was that I keep the baby underwater until she brought him up. Raldo and I both thought, “Why not?” So the water was run and my waters were broken, and the fun (not!) began within minutes. You always read about how amazing water births are, but you reckon it’s for “those” people. I was amazed at how relaxing it was; I didn’t even need to take any Entonox (‘gas and air’) this time round. The euphoria in between contractions from being in water was so pain relieving and relaxing that I felt I could have slept in those moments, if they were not so close together! As tough as birth is, this was amazing! Raldo was a bit disappointed, of course, since he had nothing much to do this time except to hold my hand, as I was coping well with the pain. It was so peaceful, and just like when Yara was born, we strongly sensed the peace and joy of the Lord in the room. As the baby was crowning, Glynnis felt that the umbilical cord was wrapped around his neck. She said that she would try to untangle it, but if she couldn’t then Raldo would have to very quickly lift me out of the bath and onto the bed, as this was a better position to deal with this complication. Thank you Lord for such a big, strong husband! Luckily it all happened so fast that I had no time to panic; within no time she had untangled the cord. He was born in water and he was beautiful, healthy, and strong – thank you, Lord! 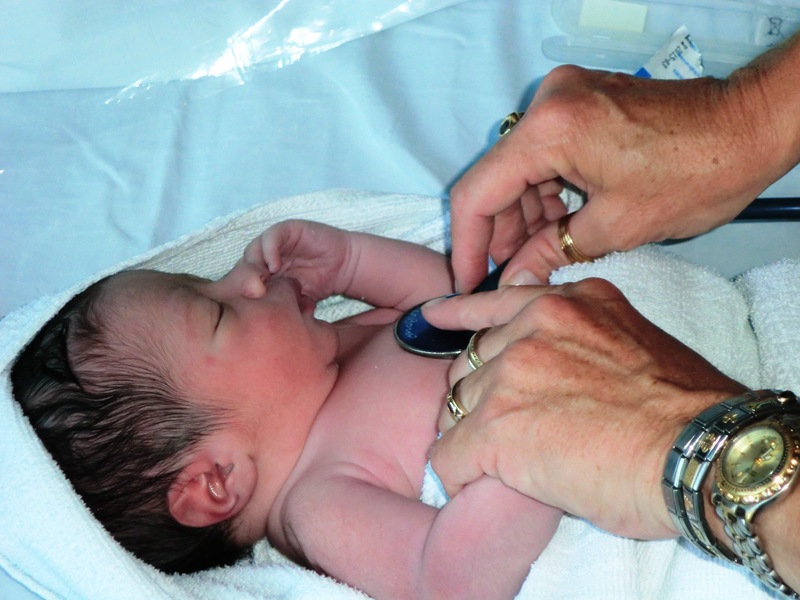 I had some postnatal bleeding and I had to be hooked up to a drip for a while. I continued to feel weak for a few days after the birth, but all in all everything went smoothly. As soon as he was delivered he was placed on my chest, what an unforgettable moment! We named him Aaronashe Raldo Krüger. “Aaro”(also what we call him), pronounced ‘arrow’ means “Mountain of Strength,” which is the picture God gave me before he was conceived, and “Nashe” means “with God,” which is the assurance we kept getting throughout the pregnancy. 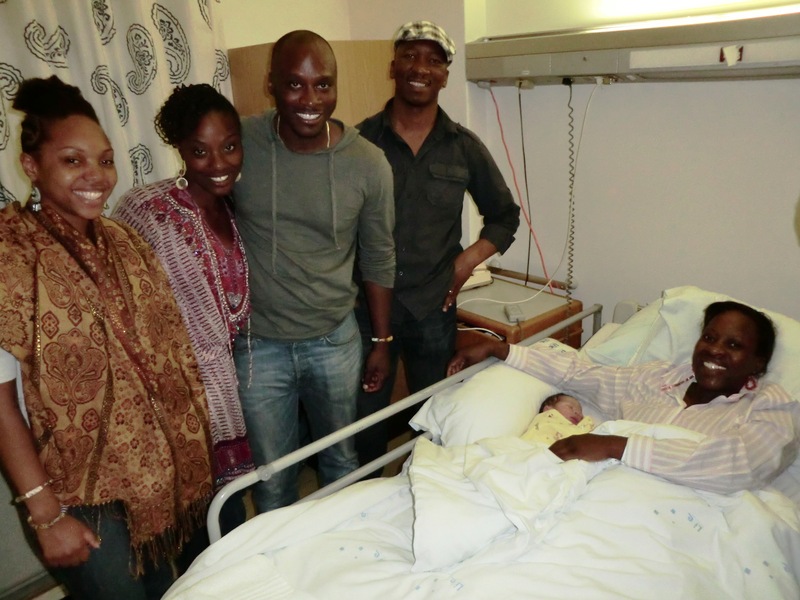 That night, the whole family came over to see him in the hospital, including Yara. She was so sweet when she saw him, and I’m sure she was amazed that he had finally come out. 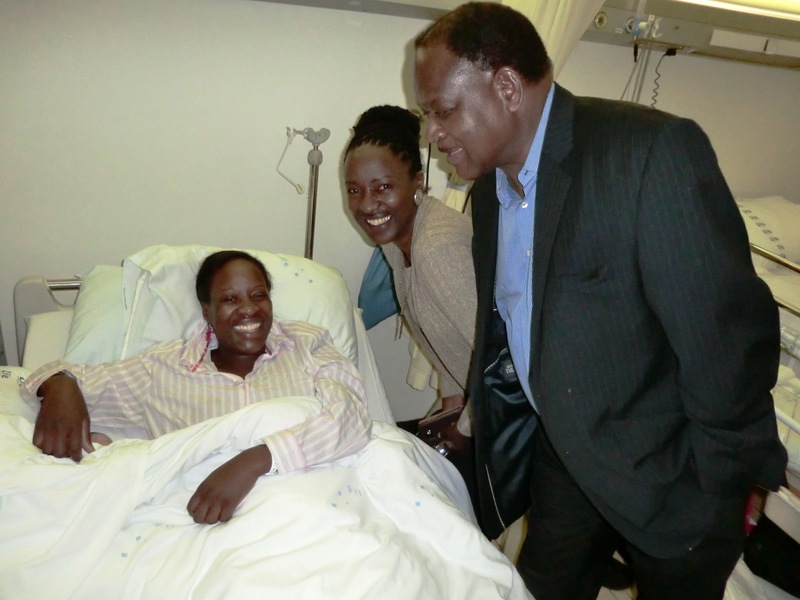 It was so wonderful to see my father, who had been flying to Cape Town during the labour. He arrived just in time and came straight from the airport to the hospital to see Aaronashe that evening. We went home on Saturday at noon after a lovely stay at Vincent Pallotti hospital. Our families were so helpful in the next few weeks; feeding us and helping around the house. It was a very special time of getting to know our new son and having our families there to celebrate with us.